Tournaments on the GAC Group 2013 ITTF World Tour come to a conclusion in Stockholm with the staging of the Swedish Open; proceedings start on Wednesday 27th November and conclude on Sunday 1st December. It is a tournament that has a long and distinguished history; it has stood the test of time with many of the great names of the sport having been crowned champions at the prestigious event. In 1954, almost 60 years ago, the winner of the Men’s Singles title was Zarko DOLINAR, in those days representing Yugoslavia; in the final he beat Sweden’s very own Tage FLISBERG to arrest the title. 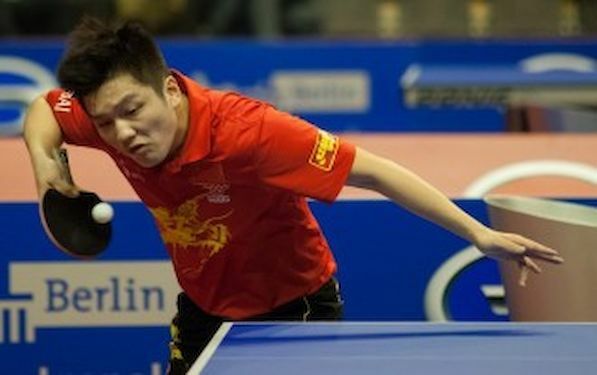 Currently, following the GAC Group 2013 ITTF World Tour Russian Open, in which FAN Zhendong did not compete, he lies in fourth place on the Men’s Singles Standings with 547 points, behind MA Long (1,150 points), XU Xin (575 points) and Masato SHIONO (557 points). Undoubtedly, XU Xin and YAN An will also receive invitations for Dubai; currently YAN An is in ninth place on the Men’s Singles Standings and with 16 players being invited to the Grand Finals, he is assured of an invitation. Sweden will be the sixth GAC Group 2013 ITTF World Tour tournament of the year for XU Xin and YAN An. Portugal’s Marcos FREITAS is the fourth seed and is currently in 30th place on the Men’s Singles Standings (98 points); Chinese Taipei’s CHEN Chien-An is the fifth seed and is in 27th position (103 points), whilst Spain’s Carlos MACHADO is the no.14 seed and in 25th spot (109 points) Likewise, in the Women’s Singles event, there are players on duty at the GAC Group 2013 ITTF World Tour Swedish Open who could well confirm their places on the Dubai invitation list. LI Jiao of the Netherlands is presently at no.13 on the Women’s Singles Standings (188 points) and is the second seed in Stockholm, whilst Chinese Taipei’s CHENG I-Ching is in 16th position on the list (152 points) and in the third seed in Sweden.